Ariel Sharon, the former prime minister of Israel, has been in a permanent vegetative state since suffering a massive stroke on January 4, 2006. For the past seven years, a respirator and a feeding tube have kept him alive at Sheba Hospital in Tel Hashomer, Israel. He has never shown any reliable signs of awareness or consciousness – until last week. The stroke left the man once dubbed by Israelis as “the Lion of God” bedbound and technologically dependent on machines for his existence. In the past, some of his family felt that he was able to slightly move a finger and show some signs of responsiveness but his doctors believed that the strokes so damaged his brain that both recovery and any serious mental activity were impossible. But last week, a team of doctors and neuroscientists from Israel's Soroka University Medical Center subjected the 84-year-old Sharon to a series of sophisticated brain scans. They were surprised at what they saw. They showed him pictures of random houses, which he would not be expected to know. Then they flashed a picture of his own house before his eyes. When the images of his own home were shown, areas of his brain "lit up" with activity. Similarly his brain ”fired up” in response to hearing the voices of family members but did not when nonsensical gibberish sounds were presented to him. Sharon is not the first person to surprise doctors who doubted that anything could be going on in a brain located in a body that was otherwise unresponsive for years. Other patients with massive brain injuries have shown some brain activity included one case in which a 23-year-old woman, when asked to imagine different scenarios including playing tennis, showed strikingly similar patterns of brain activity to those found in scans of healthy volunteers. So what are we to make of this? Can doctors say with certainty that he won’t recover? Is Sharon really “in there” unable to move but alert and awake? Should we ever remove life-support from someone who has been severely brain injured by a stroke or traumatic injury or asphyxiation? These questions are hardly trivial since families and health care teams face them every day all over the world. Can Sharon come back? Many Israelis and his family fervently hope so but older patients, especially 84-year-olds who have been through two strokes and remained unresponsive for seven years, do not come back. Is he “in there”? Let’s hope not. Being trapped in your own body year after year unable to move anything or communicate in any way would be horrific. What about the brain activity? The data that the doctors and scientists see is very hard to interpret. Something is going on in Sharon’s brain when he sees or hears familiar things. But is he really aware of what he sees or are well-worn neural pathways firing up when familiar stimuli are present without anyone home to appreciate them? No one really knows for certain, but it seems fair to say that a very damaged brain is not ”thinking” or aware or self-conscious in a manner similar to healthy human brains. So what is the case for keeping Sharon alive? He is not dead—he has brain activity. Still, he may be suffering if he has any awareness of being trapped inside his own body. Prolonging his life may be causing incredible misery to him and others like him. The best we can do is to let families try to decide what to do as long -- as they understand the facts and the uncertainties. And as long as they are willing to help pay the bill. Keeping Sharon or others like him alive in a very damaged, extremely limited state with no hope of recovery is not something that the government should pay for without some support from those who want life to go on. 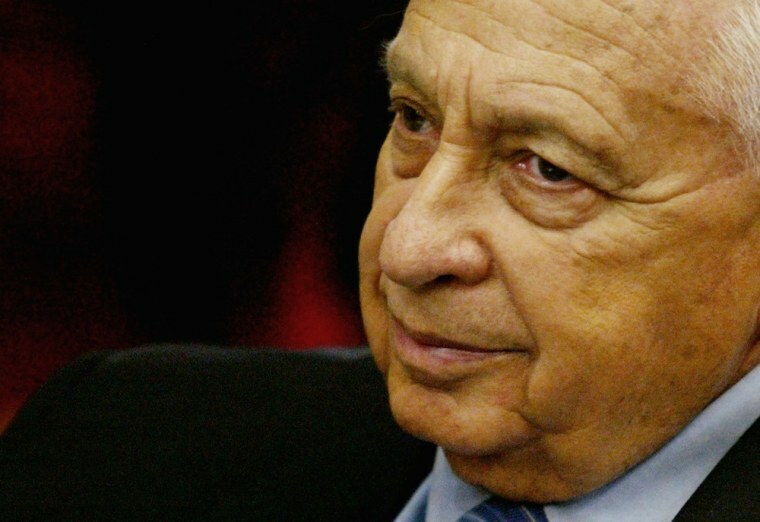 The choice to keep Ariel Sharon alive is one that deserves respect but is also one that demands involvement—emotionally and fiscally. The choice to let him go also deserves respect. In this case, uncertain medical science can only give way to well-intentioned ethics. Arthur Caplan is the head of the Division of Medical Ethics at NYU Langone Medical Center.